The business operates in 4 leased locations and one owned location. A full equipment list is available. There are automatic lock and unlock timers, a newly installed $85,000 security system for remote security, and cleaning is subcontracted. One- time sewer and water access fees have already been absorbed by the seller and will be transferred to the buyer. New HVAC systems have been installed and many improvements have been made over the last two years. This Business is a five location Laundromat based in Northern Twin Cities Suburbs of Minneapolis. The first location was established 14 years ago and sales have been steady. The current owner primarily absentee and many growth opportunities exist with a more hands on owner. There is opportunity to grow by adding wash and fold segments to the business within the capacity of the existing infrastructure. Dry cleaning drop off services could also be added by contracting a local dry-cleaning plant. There are many high density housing developments near the locations and others under construction. Partnering with these associations would realize additional growth. 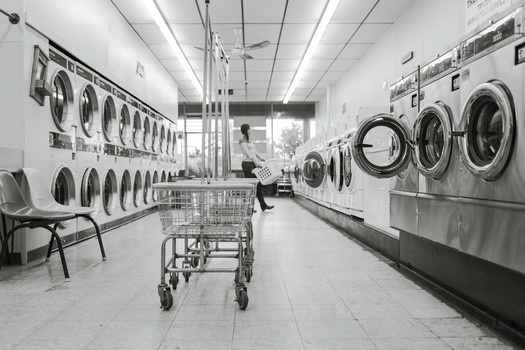 The seller recently added a very profitable business segment of commercial laundry drop service, acquiring business through Google AdWords advertising. This entry was posted on January 31, 2019 by Mac Thelen.